Most of you know that I mainly use samples and miniatures when preparing my Reviews. I usually buy these in Holland and sometimes in Germany or the UK. Sometimes I receive samples from friends or readers or independent bottlers. In only two cases I received a few samples directly from distilleries. 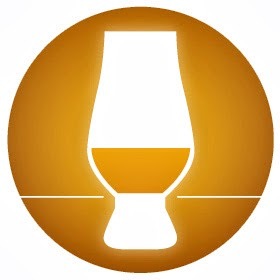 When planning my reviews for the coming months I always try to give attention to all Scottish Whisky regions as well as other Whisky/Whiskey/Bourbon producing regions all over the world with special attention to the USA, Ireland and Japan. And last but not least the blends. At the request of many readers I give preference to more recent expressions. As a result my backlog of older samples has increased quite a bit. To do justice to those samples I will review them in the format of Specials. These specials will deal with a specific region like today or with specific bottlers, countries or distilleries. 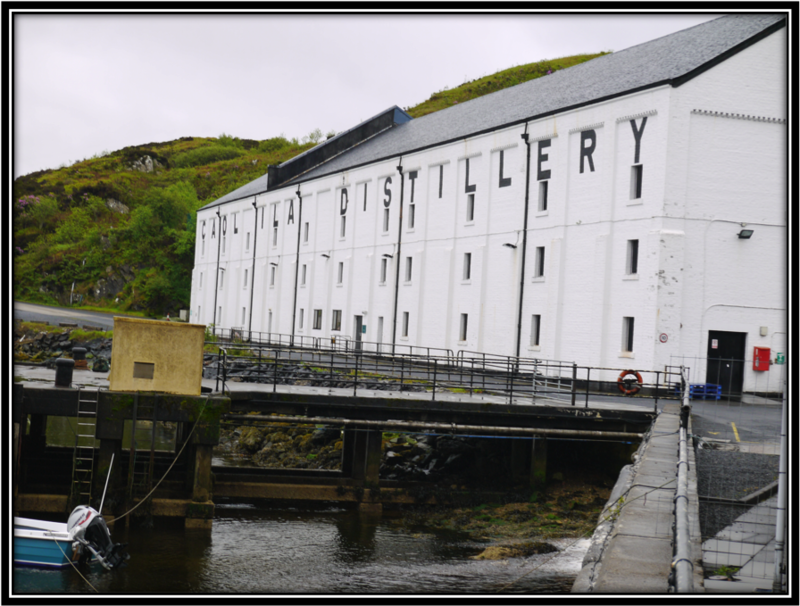 The reviews in these Specials will concentrate on the Whisky and won't go into details about distilleries, maturation etc. I do hope you will like these Specials just as much as my regular reviews and I look forward to your reactions and suggestions. 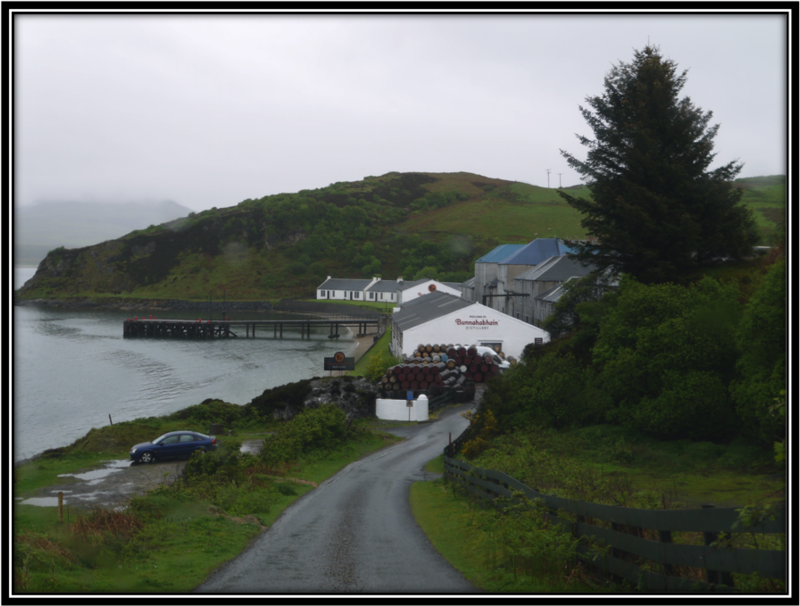 Today's special will look at 5 Single Malts from Islay bottled by various Independent Bottlers. Enjoy! Buying Advice: 😃 Positive. Nice Single Malt at +/- US$ 130. Would have been great at Cask Strength! Still available in places. Nose: Very nice balance between the traditional Laphroaig Spirit and the Sherry cask. They compliment each other very well. I find Toasted Cereals, Buttered Toast, Salted Caramel, Vanilla, Heather-Honey, Earthy Peat, Wet Clay, Bonfire Smoke, Iodine, light Tar and Soot, Hospital, Leather, Dried Fruit (Raisins), Nuts, Herbal Tea, Lemon, Dark Chocolate, Black Olives, Apple, Smoked Fish and Shell Fish, Straw mixed with Cow Manure, Pepper, Menthol and light Licorice. On the Nose, this Laphroaig is mostly Sweet and Herbal. I think it's the first time I am nosing a Single Cask Laphroaig that matured in a Sherry cask. Good Stuff! Palate: Slightly Thin Delivery. This would have been so much better at Cask Strength. Bitter-Sweet and Medium Dry with Toasted Cereals, Salted Caramel, Vanilla, Earthy Peat, Bonfire Smoke, Wet Rock, Burnt Heather, Ashes, Soot, Tar, Iodine, Brine, Citrus, Apple, Nectarine, Smoked Fish and Ham, Dark Chocolate, Espresso, Nuts, Dried Herbs, Pepper, Nutmeg, Licorice and Mint. Finish: Middle-Long, Bitter-Sweet, Medium Dry and quite Salty. I find Toasted Cereals, Salted Caramel, Vanilla, Earthy Peat, Bonfire Smoke, Iodine, Ashes, Tar, Soot, Wet Rock, Apple, Lemon, Nectarine, Nuts, Smoked Fish/Shell Fish, Dark Chocolate, Pepper, Nutmeg, Licorice, Espresso and Mint. This Laphroaig was distilled on the 22nd of September 1998 and bottled on the 14th of March 2014. Interesting combination between Laphroaig and a Sherry cask. Not the most active of casks mind you but this actually creates a lot of balance. What a shame this hasn't been bottled at Cask Strength. It's still a good Single Malt but it could have been great. I especially like the balance on the Nose. On the Palate and in the Finish there's quite a bit of Licorice but other than that I quite enjoyed this Laphroaig. What a pity I only had a small sample! Buying Advice: 😒 Negative. Better Islay alternatives at this price level. 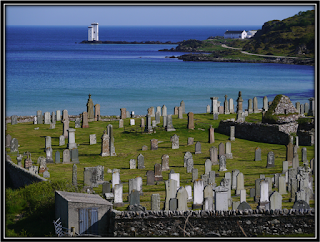 Nose: Be sure to give this Classic of Islay enough time in the glass. My first impressions are Cooked Vegetables and damp Mushroom Caves. Over time these Aromas tend to decrease in intensity but I can't say I really like my Single Malt to smell like this. It's obviously a Young Whisky but given the colour the cask must have been heavily charred and/or impregnated with some Sherry-concentrate. Based on colour alone I would suspect the Whisky to be in the 7-10 Years range. 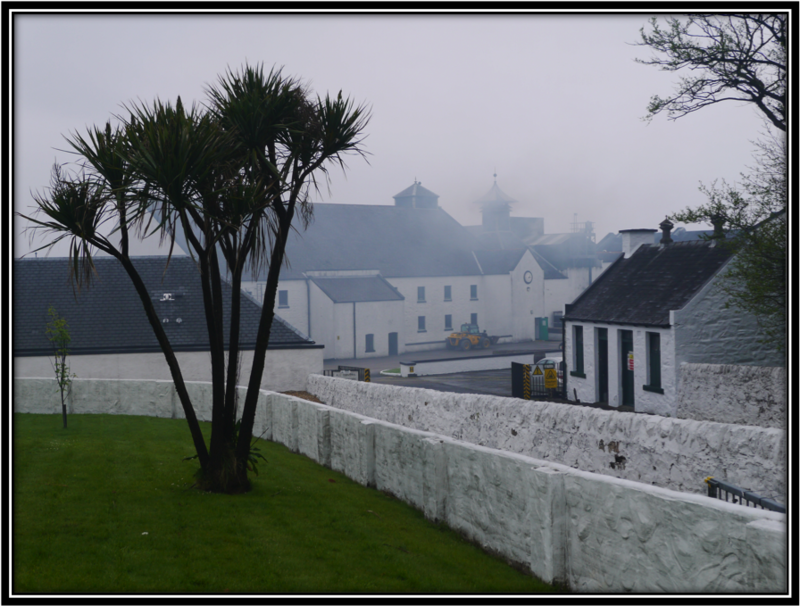 The Wet Peat and Dirty Smoke are not as strong as you would assume when sipping a Young Islay Malt. The cask must have absorbed quite a bit of those. I also find Toasted Cereals, Buttered Toast, Salted Caramel, Lemon, Grapefruit, Gooseberries, Apple, Soot, Diesel, PVC Pipes, Straw mixed with Cow Manure, Dried Herbs, Tobacco, Leather, Mint, Aniseed, Menthol, Pepper, Dark Chocolate and hints of Cured Meat and Salted Peanuts. On the Nose, this Malt is both Sweet and Sour. The Alcohol is quite noticeable. Palate: Young, Edgy, Bitter-Sweet and rather Hot. I find Toasted Cereals, Toast, Salted Caramel, Toffee, Dirty Factory Smoke, Sweet Earthy Peat, Smoked Pork and Fish, Charred Oak, Nuts, Ashes, Soot, Leather, Tobacco, Herbal Tea, Lemon, Pepper, Nutmeg, Licorice, Aniseed, Menthol, Cherry-Flavoured Cough Syrup, Strong Espresso and hints of Varnish and Peanuts. Finish: Bitter-Sweet and Middle-Long. A quite strong Alcohol bite. I find Sweet Barley, Toast, Salted Caramel, Wet Dirty Road, Sweet Peat, Factory Smoke, Tar, Ashes, Charred Oak, Smoked Pork, Leather, Tobacco, Pepper, Clove, Aniseed, Menthol, Lemon, Cocoa Powder, Espresso, Dried Herbs and hints of Varnish and Peanuts. This Classic of Islay was bottled at Cask Strength in 2014. 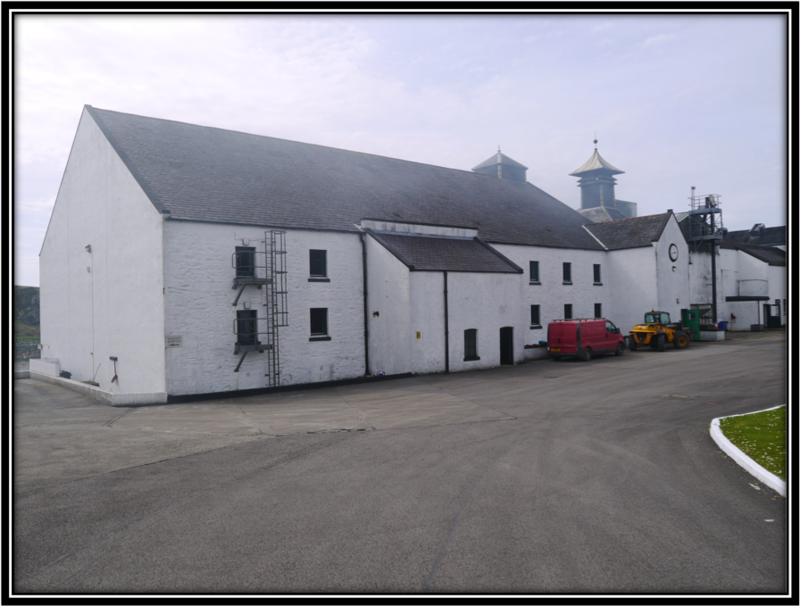 Jack Wieber does not give a lot of information on the Classic of Islay with respect to age, cask used and distillery. 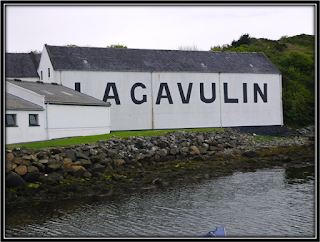 It is generally accepted that this Malt was distilled at Lagavulin but it completely pales when compared to the youngest Lagavulin, the 8 Years. 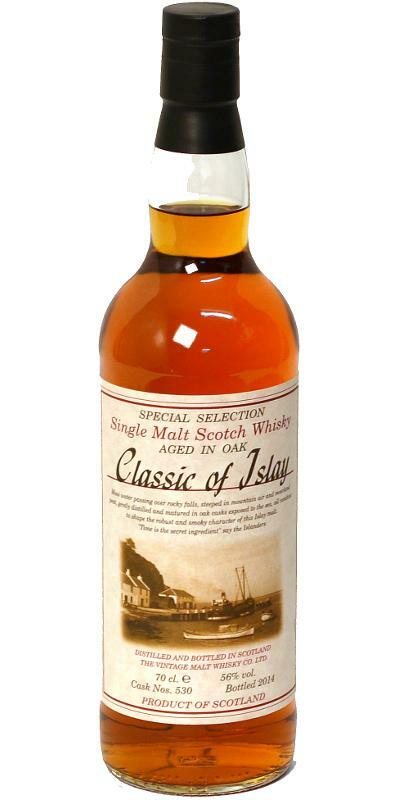 The Classic of Islay is a Young and Edgy Single Malt, controlled by a very active cask and a very high ABV. It lacks balance and in fact makes an unfinished expression. 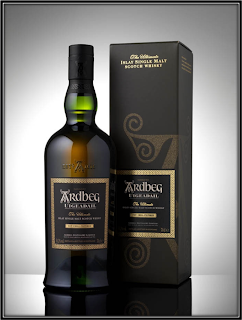 It's not really expensive but at around 65 US Dollars you can find more than enough better expressions like the Ardbeg 10, the Laphroaig 10 or indeed the Lagavulin 8 years. 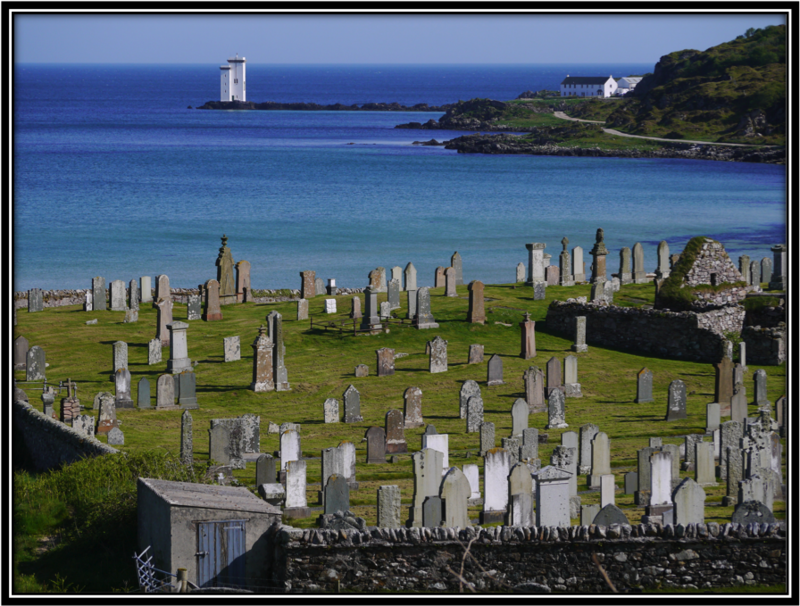 This Classic of Islay does not really work for me. Buying Advice: 😀 Positive. Good P/Q ratio at 50 US$. It's got character! Nose: I have no exact information about the type of Casks used. Judging by the Colour I would assume they are Refill Bourbon casks but there are a few "Dirty" Aromas that suggest some Sherry casks as well. 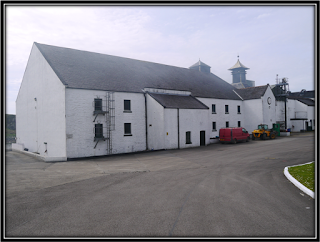 Could be the Bunnahabhain distillery character also. If any of you have more specific information on this item, please leave a Comment! My first impressions are Cooked Vegetables like Cabbage, Plum Jam and a touch of Sulphur. Weird combination. 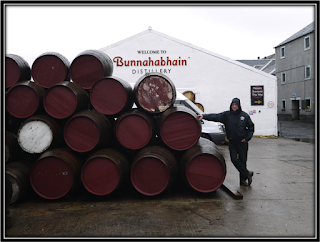 I'm certainly not immediately enchanted by the Nose of this Bunnahabhain. Please be sure to give it sufficient air contact before Nosing as these strange Aromas tend to diminish over time. It's very lightly peated at perhaps 3 to 5 ppm. I also find Toasted Cereals, Buttered Toast, Salted Caramel, Vanilla, Heather-Honey, Apple, Lemon, Orange, Berries, Nuts, Cocoa-Powder, Farm Yard, Cured Meat, Wet Rocks, Pepper, Cinnamon, Clove, Mint and a hint of Tobacco. Palate: Slightly Thin arrival. Still, more interesting than the Nose suggested. I find Toasted Cereals, Salted Caramel, Toffee, Plums, Lemon, Mandarin, Charred Oak, Nuts, Cured Meat, Tobacco, Dried Herbs, Cocoa Powder, Wet Rocks, Mint, Licorice, Pepper, Cinnamon, Cardamom, Dusty Road and Mineral notes. Finish: On the Short side, Bitter-Sweet, Herbal, Spicy and a little Hot. I find Toasted Cereals, Salted Caramel, Vanilla, Plums, Nuts, Cocoa Powder, Espresso, Dusty Road, Charred Oak, Citrus, Chocolate, Pepper, Cinnamon, Dried Herbs, Licorice, Menthol and Tobacco. 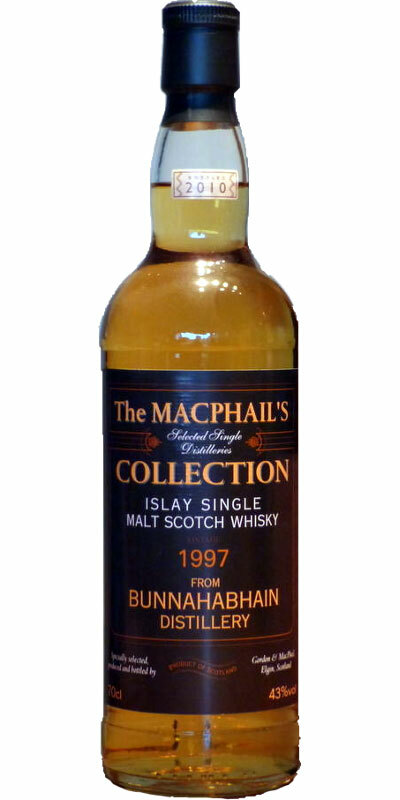 This Bunnahabhain was distilled in 1997 and bottled in 2010. I must admit I'm a bit puzzled about the maturation. Mostly Refill Bourbon casks and a few Sherry butts is my best guess. 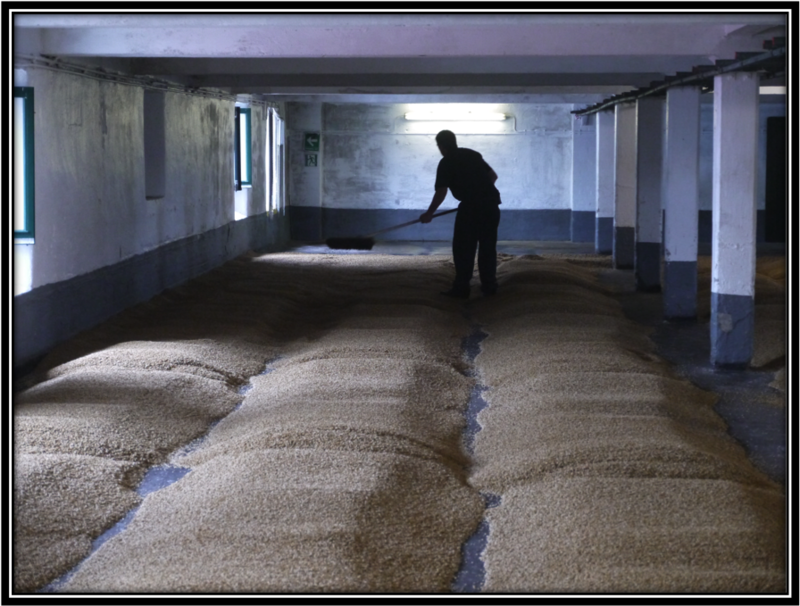 My first impressions were not very pleasant but this Malt gets better with more air contact. Normally the Nose is the best part of any Whisky but not so in this case. I kinda liked the palate better but for the fact that the ABV is slightly too low which causes a rather weak arrival. But it's got that certain Dusty, Dirty and Meaty character that I like in my whiskies and that you don't find in most of today's mainstream, middle of the road Malts. At an average price of 50 US Dollars this is a good buy! 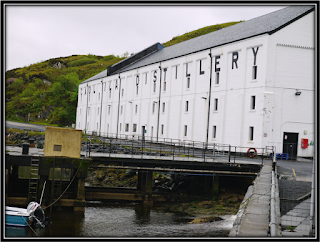 Maturation: Refill Bourbon casks with a short Refill Sherry Cask Finish. Buying Advice: 😋 Very nice Islay Malt and a must buy at 45 US$. Nose: Light and relatively Young but already well-balanced. The Alcohol is there so you need to find your way around it. 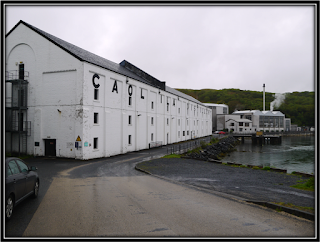 I must admit that Caol Ila is becoming one of my favourite distilleries. The 18 Years is among the best Single Malts I have nosed and tasted so far. But this 12 Years is not bad as well although it's got some Rough edges to it that show it would benefit from some more years in the cask. I find Toasted Cereals, Buttered Toast, Salted Caramel, Vanilla, Sweet Earthy Peat, Heather-Honey, Campfire Smoke, Brine, Iodine, Ashes, Tar, Band-Aid, Smoked Fish and Shell Fish, Bacon on the BBQ, Wet Rocks, Straw, Grass, Pineapple, Lemon, Orange, Apple, Pear, Fresh Herbs, Floral Soap, Pepper, Cinnamon, Menthol and hints of Leather and Tobacco. Nothing spectacular here. Just very nice! The Sherry cask Finish is hardly noticeable but it added just a little more complexity. Palate: Good Delivery. Bitter Sweet and Dry towards the end. A little kick from the Alcohol. I find Sweet Barley, Salted Caramel, Toffee, Vanilla, Charred Oak, Smoked Fish and Pork, Heather-Honey, Sweet Earthy Peat, Campfire Smoke, Tar, Ashes, Iodine, Dried Herbs, Lemon, Apple, light Mandarin, Nuts, Wet Rocks, Floral Soap, Pepper, Cinnamon, light Licorice and Aniseed, Menthol, Tobacco and Espresso. Finish: Middle-Long, Bitter-Sweet and a little Hot. Slightly Dry and Sour towards the end. I find Sweet Barley, Vanilla, Salted Caramel, Toffee, Sweet Earthy Peat, Campfire Smoke, Ashes, Iodine, Tar, Brine, Fish, Shell Fish and Pork on the BBQ, Apple, Lemon, Floral Soap, Pepper, Licorice, Aniseed, Menthol, light Iodine and Espresso. 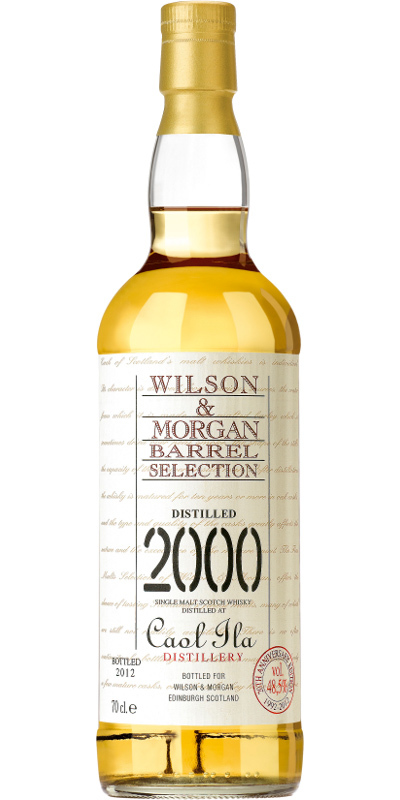 This Caol Ila was distilled in 2000 and bottled in 2012. It's still a few years too young to be perfect but if this was available in Brazil it would certainly be my "day-to-day to-go-to" Islay Malt. It's got character and balance and it's yummy despite its obvious youth and Alcohol. It's dangerously drinkable as well despite the relatively high ABV. Good cask choice Wilson & Morgan. Good stuff! A must buy if you can find it. The Price/Quality ratio is excellent with prices between 40 and 50 US Dollars. There are not a lot of bottles around anymore but you can still find it in places. Good hunting! Buying Advice: 😋 If you can find it somewhere: Just Buy It!! Nose: Delicious. The Alcohol has completely integrated. 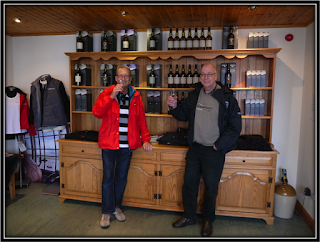 After 30 years, the Peat and Smoke are just a mere hint in the background. It still smells Vital and Fresh after all that time in the Bourbon cask that provided the Spirit with a very nice Golden Colour. I find Sweet & Creamy Barley, Toast and Top Quality Butter from Normandy, Vanilla, Toffee, Salted Caramel, Farmyard, Charred Oak, Grass, Lemon, Apple, Pineapple, Heather-Honey, Cinnamon, Mint, Fruity Virgin Olive Oil and the faintest hints of Tar, Iodine, Leather, Smoked Fish or Shell Fish, Ginger and Almond Paste. Subtle, Elegant and perfectly Balanced. 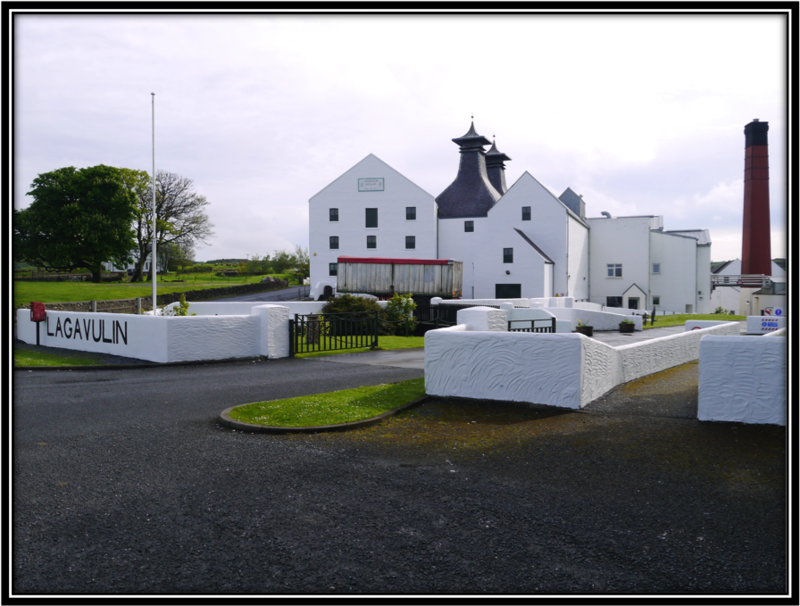 I am totally sure now that well-matured Islay Malt is one of my favourite whiskies worldwide! Great cask TWT! Well done! Palate: Delicious but slightly Thin Delivery. This would have been heaven when bottled at cask strength. Like on the Nose, Elegance and Balance are the key words. I find Sweet Barley, Salted Caramel, Vanilla, Honey, Fresh Pastry, Nuts, Lemon, Campfire Smoke, Sweet Peat, Grass, Smoked Fish, Shellfish, Cinnamon, Pepper, Ginger, Menthol, Licorice and hints of Leather, Tar and Iodine. Finish: Middle-Long and Mostly Sweet. A little Bitterness appears towards the Dry End. 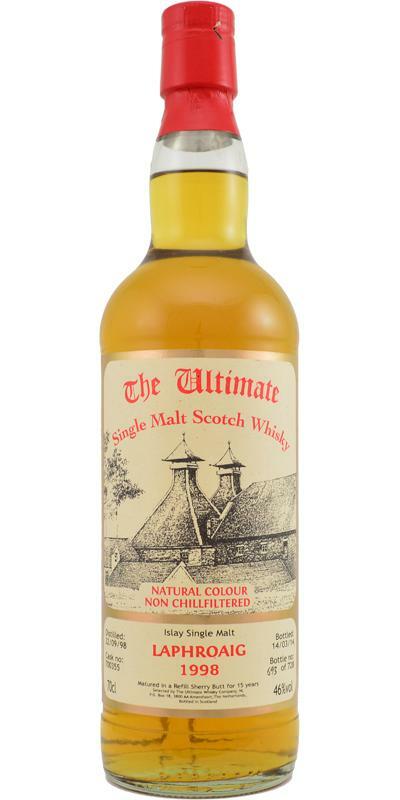 I find Toasted Barley, Vanilla, Salted Caramel, Campfire Smoke, Sweet Peat, Dirt Track, Charred Oak, Pepper, Cinnamon, Ginger, Menthol, light Aniseed, Licorice , Heather-Honey and far hints of Tar, Smoked Fish and Iodine. This Caol Ila was distilled on the 19th of March 1980 and bottled on the 4th of February 2011. 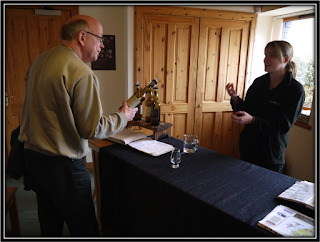 This is the oldest Caol Ila I have tasted so far and I found it to be remarkably Fresh for its age. Elegance and Balance are the Key words for this Single Malt. Great cask as well. It's not overly complex mind you but it's simply Delicious, especially on the Nose. The ABV is a tad too low for this Caol Ila and I can only imagine how great this would have been at around 50%. As it is it still jumps easily into my Top 15 so far. Such a pity I only had a very small sample! Due to the fact that I merely had small samples at my disposal, I only Nosed and Tasted these five Single Malts neat. All pictures were taken by my brother-in-law Jan Bronkhorst during our visits to the distilleries in 2014 and 2017.